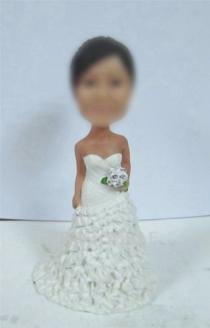 Are you going to get married in the near future? 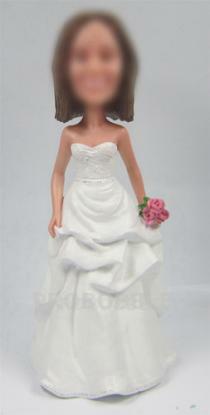 Or are you preparing for your wedding now, like looking for new ideas and buying wedding accessories? 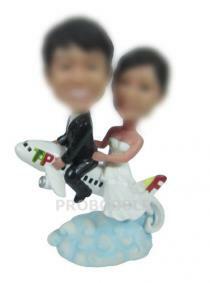 Wedding day is the most important day of our life. 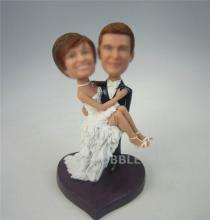 We all want a special wedding,hoping the good memory of that will last a lifetime.The bobbleheads become increasingly popular with wedding couples. 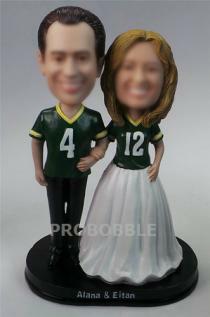 They customize couple bobbleheads for themselves and groomsman bobbleheads for the best man,ushers or ring bearer and bridesmaids bobbleheads for maid of honor or flower girl. 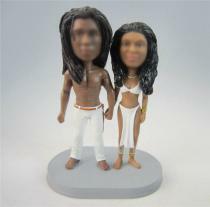 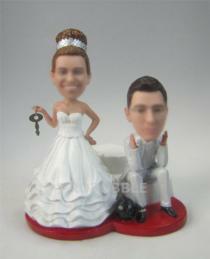 Unlike the traditional ways of giving a flask or money clip to men and some kind of jewelry or tote bag to women after the wedding, bobblehead is more special and popular for couples to gift the groomsmen and bridesmaids.Bobbleheads cake topper is also an important part of the wedding. 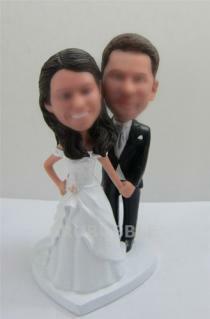 The same old couple figurines are dull and boring and people want something more fun and interesting. 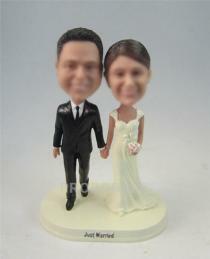 The custom bobbleheads cake topper is the best choice. 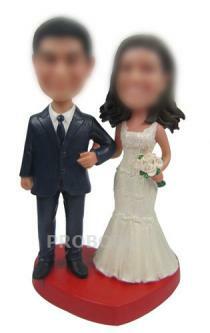 If you are a wedding guest, wedding bobble heads doll is a great gift to newlyweds as it can be both displayed in their house year-round for all to see and also a perfect talking point for the houseguests. 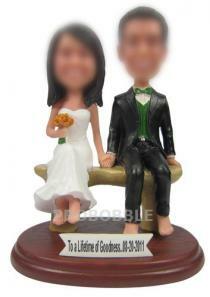 It's destined to be more adored by the newlyweds than flower, dish, fork or jewelry. 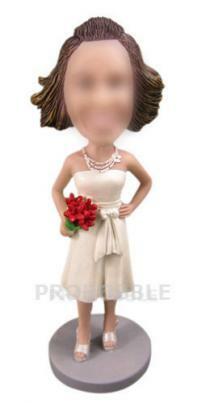 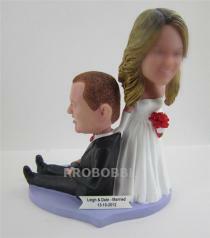 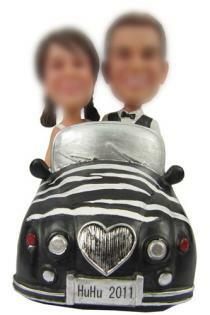 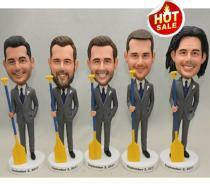 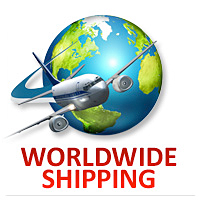 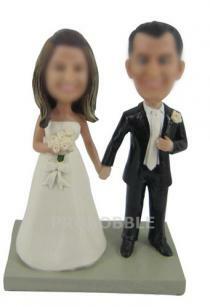 We have a great large number of wedding bobbleheads for you to choose in this category. 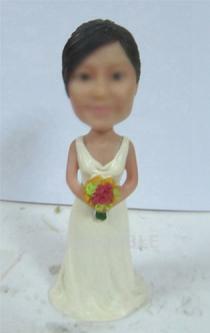 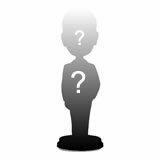 They vary in clothes color, style, pose and added accessories and you are sure to find your favorite wedding bobble head here. 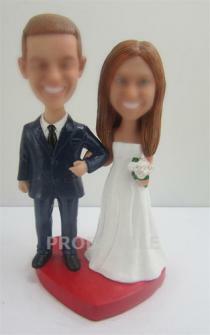 Make your wedding unforgettable by visiting our wedding bobbleheads page.